Jake recalled following Sarah Grace to the US when they broke up last December. 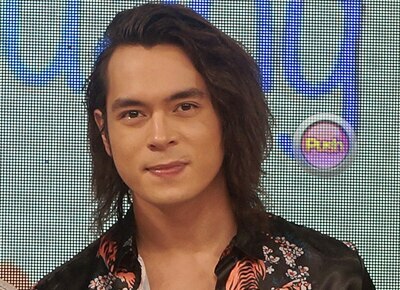 On Magandang Buhay , actor Jake Cuenca recalled running after current girlfriend Sarah Grace Kelley when they broke up December of last year. “Hinabol ko siya. Parang natapos ‘yung Pasion de Amor, dumiretso ako sa New York kasi alam kong nagmo-model siya sa New York,” he said. He added however that they were not able to fix their relationship then. “Pero luckily, dahil sa TFC (The Filipino Channel), nagka-tour ako sa San Francisco, tapos nag-decide kaming magkita sa San Francisco,” he said. Nonetheless, he shared that remained on speaking terms even after they split. “Kahit ‘nung nagbreak kami, we never stop talking to each other. Kasi parang nag-decide kami, okay hindi tayo pero she’s my best friend too. So aside from she being my girlfriend, the woman that I love, she’s also my best friend. Kapag nag-uusap kami, ‘yung conversations namin, minsan nagta-transition from being a girlfriend into your best friend,” Jake said.